Winning in today's light production marketplace requires the ability to grow revenue and improve profitability. Success demands standout performance, stellar productivity, and absolute versatility. With a dramatically new platform, the imageRUNNER ADVANCE C9075 PRO model is designed to satisfy the specific needs of coprorate in-house print facilities, commercial on-demand print centers, and design agencies, providing outstanding value in every way. 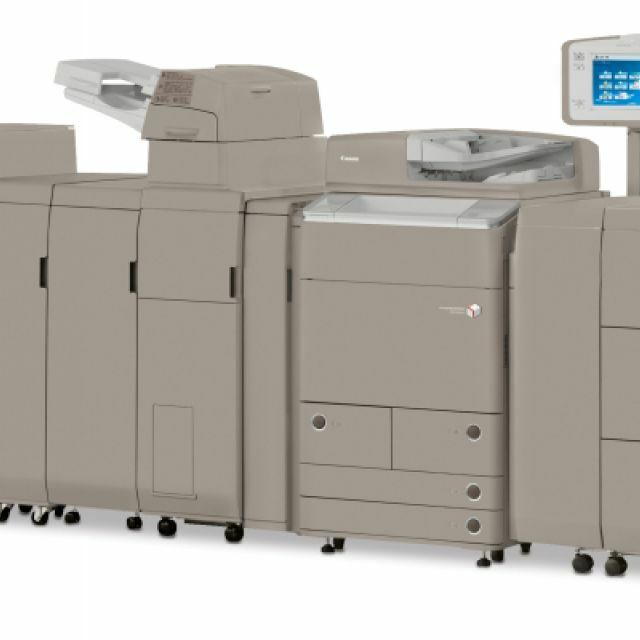 The imageRUNNER ADVANCE C9075 PRO model delivers output speeds of up to 75 ppm in black-and-white and 70 ppm in color, and single pass duplex scanning at speeds of up to 200 ipm (duplex, 300dpi, black-and-white). Enjoy standard Universal Send, standard UFR II printing with flexible print options, and an extensive range of paper handling and finishing options. With its brilliant image quality, exceptional productivity, flexible versatility, and streamlined workflow capabilities, the imageRUNNER ADVANCE C9075 PRO promises a brilliant future for digital color print production. New pQ toner is oil-free and uses small particles containing micro-dispersed wax so toner fixes evenly and lies flat. The result is sharp, vivid, dense images, improved gloss levels, and a smooth finish. Auto Gradation Adjustment sets the ideal level for densities and halftones while Real-Time Calibration helps maintain this level by making automatic, real-time adjustments during print runs. Accurate registration is achieved with a new cassette design, manual adjustment features, and the ability to precisely match front-to-back registration within one millimeter for duplex documents. Paper capacity can be extended to a maximum of 9,300 sheets to ensure that long jobs can run without having to stop for paper replenishment. When printing on three tabs from a bank of five, for example, the remaining two tabs can automatically be kicked out to a separate tray to reduce manual collation. Less packaging for efficient transportation.